Product size – 12x5x18 inches (30.4×12.7×45.7 cm). Material – Steel and plastic. Maximum can size – 12 oz. Color – Grey and black. 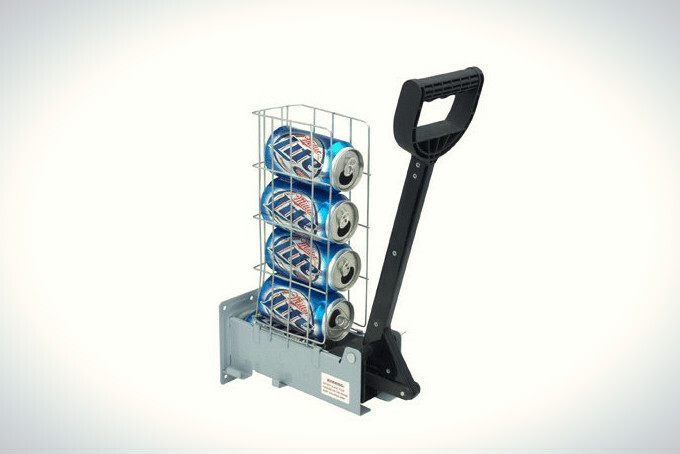 Multiple can holder – Yes. Holds 6 cans at time. 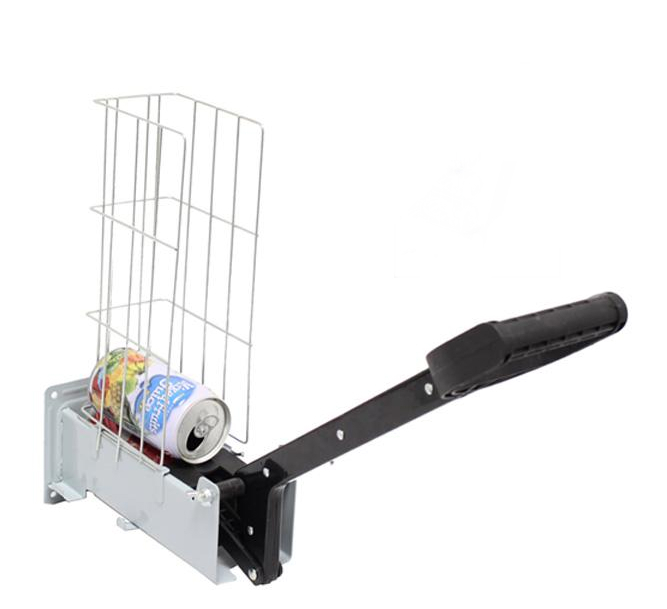 This multi-load aluminum can crusher comes with few extras when compared with other regular, wall mounted crushers such as multiple can holder and automatic dispensing. Multi-load crusher will take cans up to 12 oz size. This crusher can only be used for aluminum cans and should not be used with steel cans. 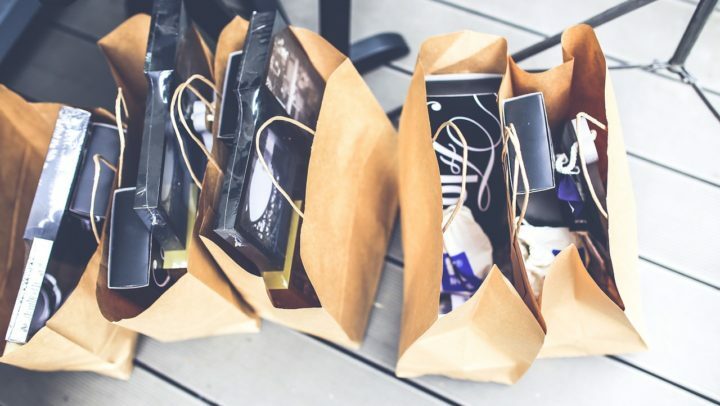 The body of the crusher is made from quite durable steel, but the crushing mechanism together with the leveler are made from a plastic material, which is a bit of a shame. The full steel construction used on Basic Industries International 77703 can crusher certainly works better than half steel, half plastic construction used on this crusher. 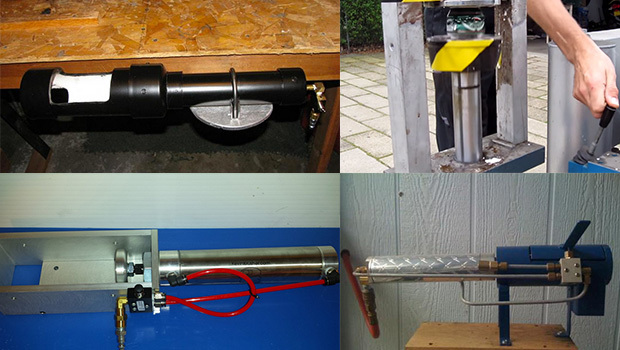 The crushing mechanism of this aluminum can crusher differs from other crushers with its semi-automatic crushing function that allows to save time, if you need to crush multiple cans at the same time. The crusher has got a long 15 inch (38 cm) leveler with a convenient grip handle that makes the crushing process easy with this tool. 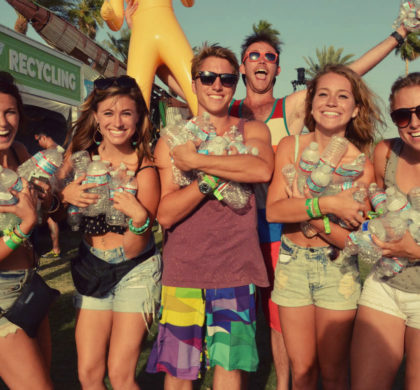 However, as the handle of the crusher is made from a plastic material, it is not the most durable part of this crusher and might break, if you add too much force to it, when crushing aluminum cans. 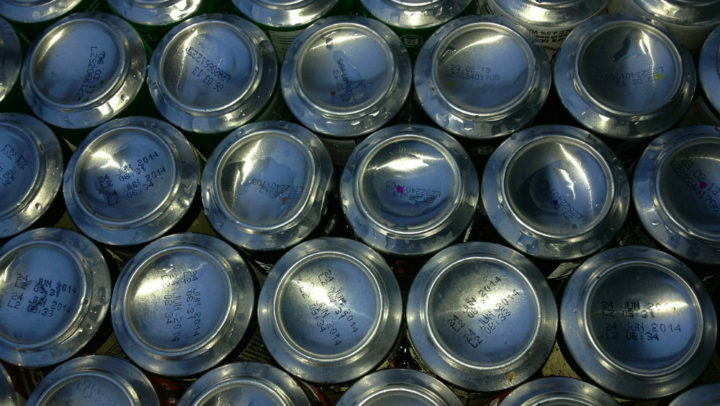 On the top of the crusher there is a metal basket that will hold up to 6 aluminum cans at 12 oz size. The crusher works best with standard 12 oz beer and soda cans and cans in non-standard size might get stuck into the metal basket. The advantage of multi can holder is that it speeds up the crushing process, as you do not have to insert a can into the crusher, compress it, take the can out and put the next can in, but you can insert and crush 6 cans one by one. Another advantage of this multi-load can crusher is automatic dispensing that makes it a semi-automatic can crusher. When you compress an aluminum can it automatically gets dispensed out of the crusher trough an opening at the bottom of the unit. 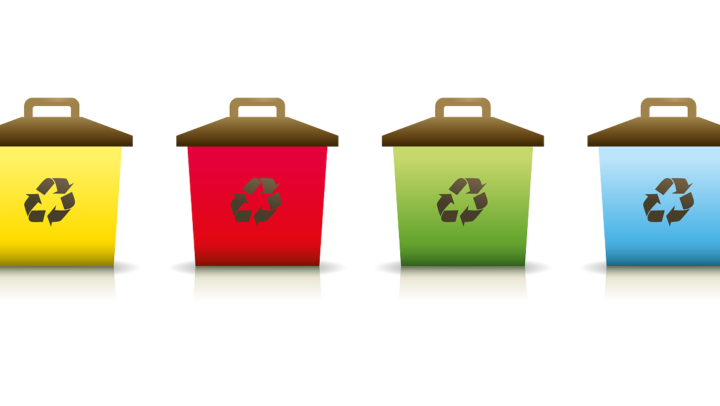 You can place a trash bag under the crusher so every compressed can drops directly into the trash and you do not have to touch a can with your hands after it has been crushed. 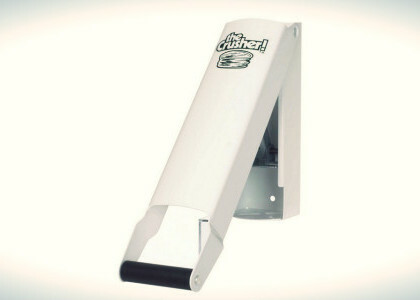 As this aluminum can crusher does not have the most durable construction you need to make sure to not apply too much force on the crusher while using it. To ease the crushing process pinch a can on sides before inserting it into the crusher. 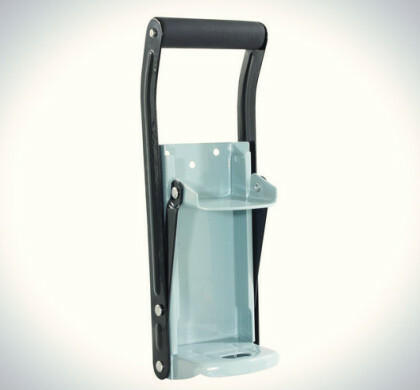 Multi-load can crusher can be mounted to a wall or another vertical surface. Because this crusher is pretty large and heavy compared to single can crushers, it may take a little more effort to install the crusher to a wall. Make sure to properly secure the crusher, so it does not get damaged in the crushing process. 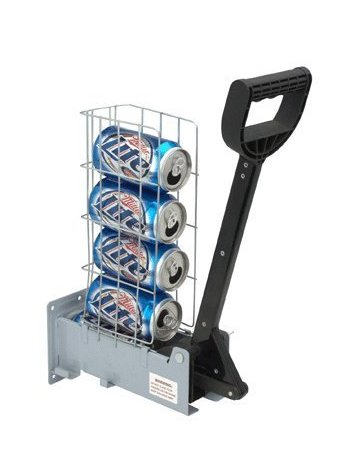 When it has been installed to a wall, it is quite easy to operate the unit, and the large handle allows for easy compression of 12 oz aluminum cans. The size of multi-load can crusher with lever in up position is 12x5x18 inches (30.4×12.7×45.7 cm). The weight of the unit is 3.7 pounds (1.7 kg). 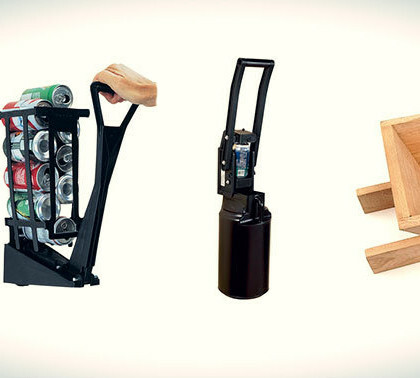 Makes crushing large amount of cans faster. The construction of the crusher could be more durable, also the plastic handle is quite weak and can break when more force is added to it.